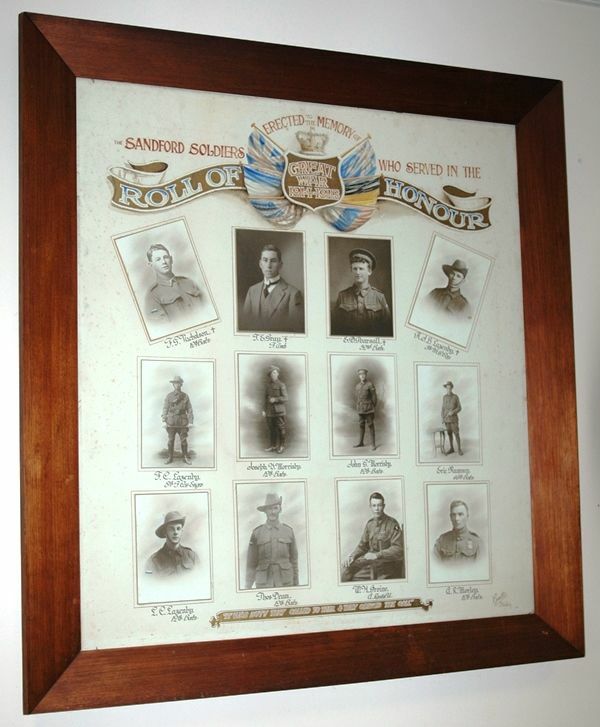 A framed photographic honour roll commemorates those who served in World War One. It contains the photographs and names of 12 service personnel. There is a copy of this honour roll also in the Sandford Hall. "It was duty that called to them & they obeyed the call"